The concept of communal maker spaces is not a new one. Several studios have sprung up in and around our cities in recent years. This is a response to an upsurge in creativity in our society. Whilst many arts centres and crafts people offer lessons and classes in their art form people wanting to develop their interests beyond the shallow immersion are often confronted with limited knowledge, space or money to set up a studio of their own. Open access studios operate a lot like a gym membership; offering access to an environment equipped and managed to give members the platform to achieve their goals. The Clay Loft is just such an environment. Managed by skilled technical staff it offers a suite of equipment to support most ceramics processes. It is a welcoming, relaxed and inspiring communal working space with excellent facilities. 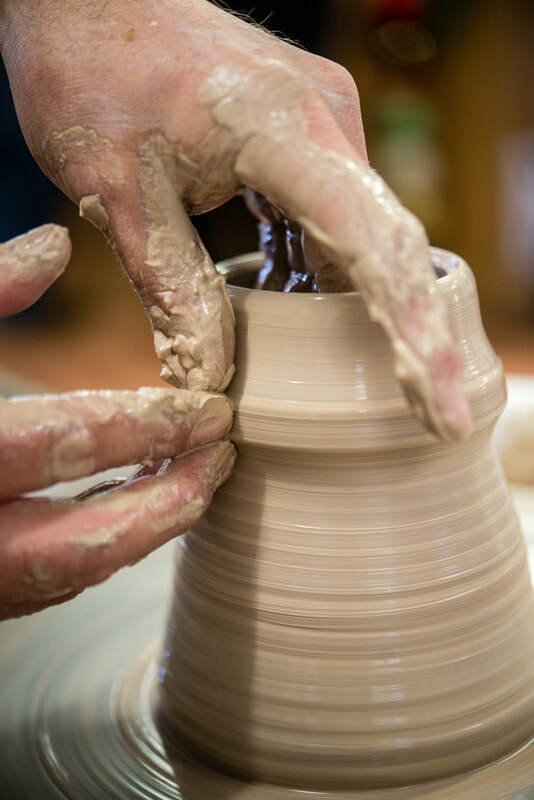 The Clay Loft uses a simple membership scheme to provide open access to people wanting to develop their ceramics skills or to simply enjoy making with clay in a friendly and relaxing sociable setting. Members will pay a monthly fee for access to the studio and the use of all its facilities and materials. A technician will be on hand to guide and troubleshoot but learning will be by exploration and the mutual support of the members. As well as open access, regular classes will be run for beginners (typically non-members) as well as process specific masterclasses (with priority to members). Tools - A selection of quality throwing, turning and modelling tools for both wheel and hand building. A full range of tools will be available for purchase by members. Yes! 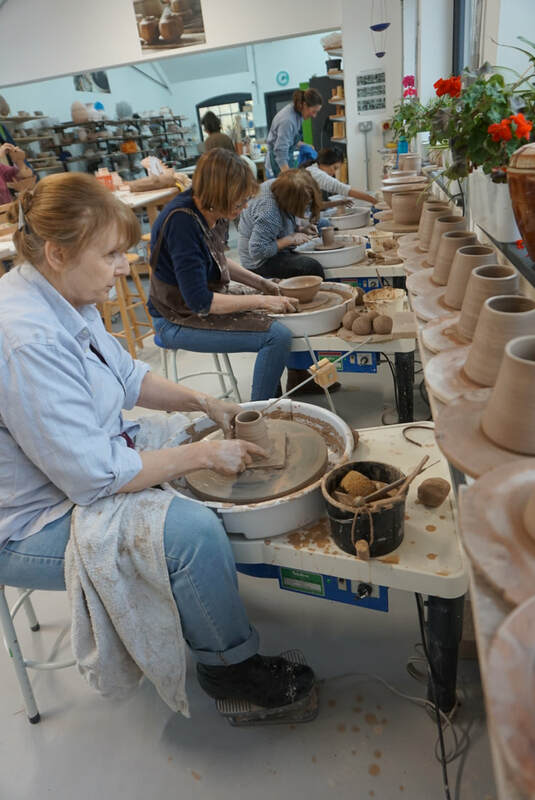 Membership is open to anyone that is deemed an independent worker in ceramics. A technician will be on-hand and happy to offer guidance and advice but will not be teaching. Regular classes will be offered should members wish to learn new processes. Completing a beginner course would be an appropriate foundation for membership. Creating the best possible environment for makers is important to us and for this reason the number of members will be capped. What if I don't need or want 15 hours a week? Membership is intended to enable makers to experience and develop their skills and knowledge in the full cycle of making processes. Classes tend to focus just on just the wet clay processes by virtue of the limited time available. Even if members only use the studio for 7 hours of the 15 hours allowance that would still only make their use of the studio only £6 an hour. This is great value by comparison to other studios and class-style access. Is there an induction process? Yes, an induction session is conducted as soon as you join the studio. The aim of this mandatory session is to ensure you get the maximum out of being a member. The induction session is carried out in the first month of membership. This indiction covers the rules of studio use, health and safety and will assess your level of independence. No. The Clay Loft relies upon its members for the maintenance and upkeep of the equipment and environment. Sharing membership will dilute this and erode the ethos on the studio. We try to make all costs as transparent as possible. 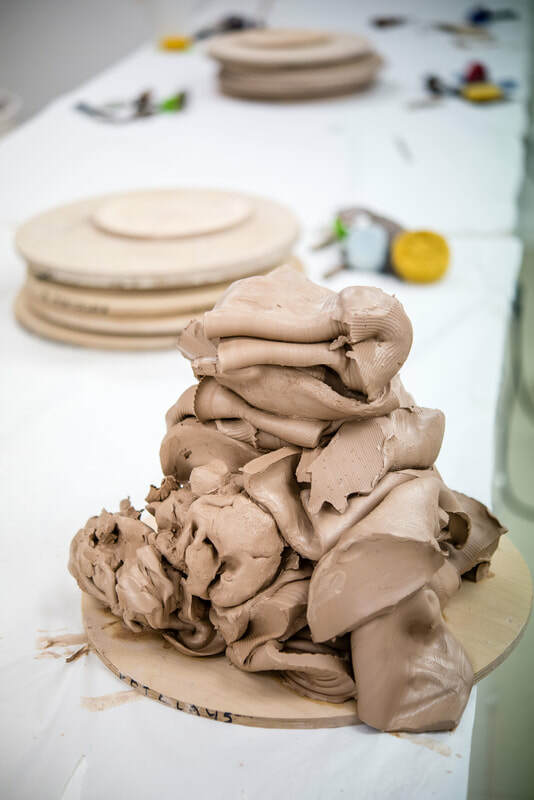 Some studios make additional charges for clay, glazes and kiln space. At The Clay Loft, we will supply two 'house' clays and a selection of in-house glazes. These glazes are unique to The Clay Loft and will vary with demand. 'Reasonable' use of these materials will be defined if scale and consumption by an individual exceeds anticipated norms for part-time non-production ceramicists. Can I invite friends to join me when I work? Can I use my own glazes and clays? Only members will be allowed to use the studio. Non-members, will be welcome to visit the studio by prior arrangement and for open studio events. At other times access is limited to members only to provide the most conducive creative environment for makers. Yes. Makers will be encouraged to use any materials they prefer and The Clay Loft will happily order materials and tools on behalf of members. Any use of non-house materials will be charged at cost to members. Members are welcome to bring their own materials to the studio but these must be stored on their shelf or in their locker. Can I buy membership/classes for someone else? Yes! Classes are open to members and non-members alike. Usually classes will be adult only (over 16) but introductory classes specifically for children may be arranged during the holiday periods. Yes! Vouchers are available on request.